Using the images from the street team, I printed them on shrink plastic and punched them out using a circle punch tool. I then heat them with my heat gun tool and glued a badge pin to the back. I made my own cover for a notebook and removed the wire binding and replaced it with fibres. 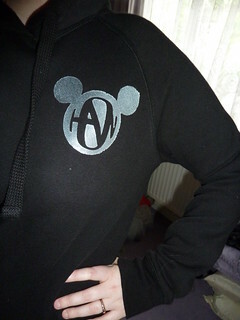 I handcut the Hanson symbol and used some 3D glitter glue to outline.